Dr. Maresca attended medical school at St. George’s University School of Medicine and completed his residency in Internal Medicine at the University Hospital at Stony Brook, Stony Brook, NY. He completed his fellowship training in Hematology and Medical Oncology at the Beth Israel Medical Center in New York City. Dr. Maresca is board certified in all three disciplines. He is affiliated with Vassar Brothers Medical Center, St. Francis Hospital, Northern Dutchess Hospital and Putnam Hospital Center. He is the lead clinical investigator for several NCI approved clinical trials aimed at developing new treatments for patients with cancer. He specializes in cancers of the genitourinary system such as prostate cancer, kidney cancer and bladder cancer as well as cancer of the head and neck. 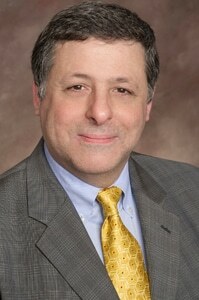 Dr. Maresca serves on the regional Board of Advisors for the American Cancer Society. He frequently lectures to patient support groups such as the Man to Man prostate cancer support group. He is the hematology consultant for the St Francis Hospital Blood Conservation and Transfusion committee and Bloodless Medicine Program.